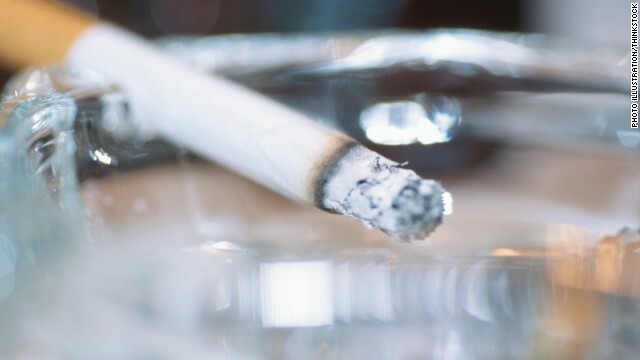 You might think that heavy smokers make for bad lung donors. But a new a study finds donors who smoked more than a pack of cigarettes a day for more than 20 years were strong candidates for double lung transplant donors. The study was presented this week at the annual Society of Thoracic Surgeons meeting. Authors of the study evaluated 5,900 adult double lung transplants between 2005 and 2011 in the United Network for Organ Sharing (UNOS) database. UNOS is the nation’s organ transplant management system. Heavy smokers made up 13%, or 766 of the double lung transplants studied. Researchers found that the patients who received the smokers' lungs had similar short and medium term survival rates as those who received lungs from people who did not smoke heavily. Patients who received heavy smokers' lungs tended to stay in the hospital for a few days longer for recovery. However, over a two-year span, researchers found that lung function and death rates in recipients who had received heavy smoking donor lungs was similar to those who received healthier lungs. Currently, there are more than 1,600 people waiting for lung transplants, most of them waiting for a year to two years for a set of lungs. Because of the link between smoking and lung cancer, donor lungs must be carefully inspected, said Taghavi and Dr. Yoshida Toyoda, a co-author of the study. "We recommend a CT scan for evidence of tumors and emphysema, in addition to routine assessment including blood gas, bronchoscopy, and visual inspection," Toyoda said. While the results look promising, Tagahvi did say that additional follow-up is needed to see if there is any difference in long-term outcomes. “It comes to us asking and informing our patients, with critical data, and saying this is what we know, and what it may mean to you… your risk of malignancy may not be greater. But your risk of rejection won’t be more. And your lung function will be maintained over time," said Budev. As Budev pointed out, the 13% of people in the study who received lungs from heavy smokers in study may not have received any lungs otherwise. Sorry...I don't buy this one bit. I recently read of a UK family who are taking legal action because their minor daughter was given the lung of a smoker, and she developed lung cancer. I admit that if I was dying and needed lungs, I wouldn't really care if the person smoked or not. But I'm not buying that the survival rates are the same, as they only state short and medium survival statistics. Long term, I would expect major differences. What a dilemna for both surgeon and patient, both. Makes sense to me...My doctor told me if I quit smoking it would take about 2 years for my lung health to be back to a state of normal. If you catch COPD early enough it is reversable in time. I've never smoked but have always had a curiosity about it. I just can never understand how people can do that to themselves, even if otherwise intelligent. But, I'll say, if I were given the lungs of a smoker, I would probably just give up and start smoking myself since, after all, my lungs had already been smoking anyway. I'd at least do it for awhile until my curiosity was quenched. Excellent items from you, man. I have keep in mind your stuff prior to and you're just too wonderful. I actually like what you've acquired here, really like what you are saying and the way in which through which you say it. You make it enjoyable and you still care for to stay it sensible. I can not wait to read far more from you. This is actually a terrific website.